Some keyboard interactions have been enhanced in the advanced search form. This includes the use of the “Enter” key. When typing a query, if the search terms you are entering into the form is a prefix for a known code field or operator, the words with be automatically completed for you. Scopus has migrated its Help platform to a new Support Center, designed to help you find learning resources and answers to frequently asked questions. 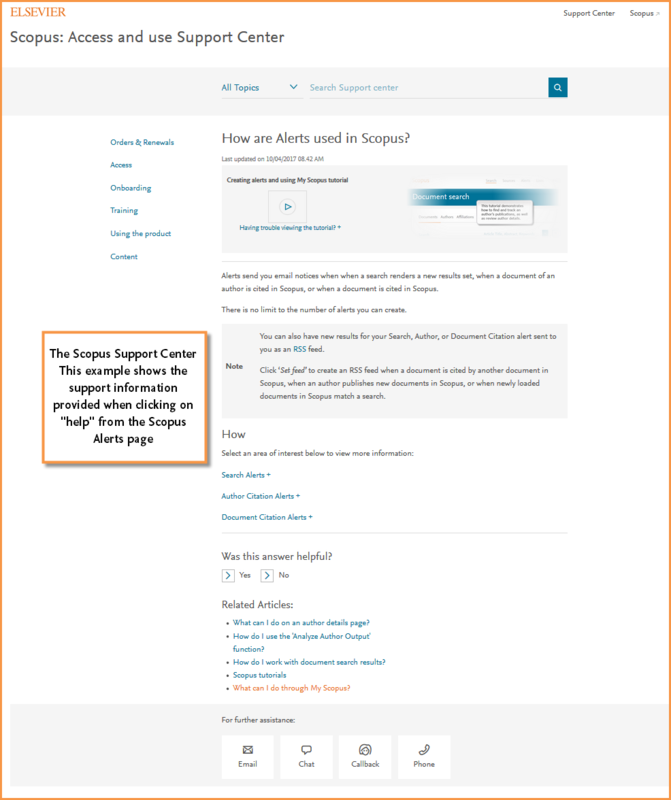 If on Scopus, access the Support Center by clicking on "Help." This will take you to support information related to the page you are viewing with options to drill down further into the topic, search for a specific question in the query form at the top of the page or use the menu options on the left hand side of the page to navigate to other information and resources. You can choose between two paths; (1) learning about accessing and using Scopus and (2) requesting changes to information on Scopus. The first option, “I want to learn about accessing and using Scopus,” connects you to answers to frequently asked questions, information and training resources. You can also use the search bar to find answers to specific topics you are looking to learn about. The second option, “I want to request changes to an author/affiliation profile on Scopus content,” will guide you to information on how to request changes to Scopus such as adding a missing document to your author profile, or making corrections to a document. If you are unable to find the answer to your question, or need further assistance, links are available at the bottom of the page to help direct you to our support team. Last month, we took CiteScore transparency a step further by sharing the underlying data with subscribed Scopus users, and introduced the ability for that data to be exported. Now, we also have added more transparency for non-subscribed users. 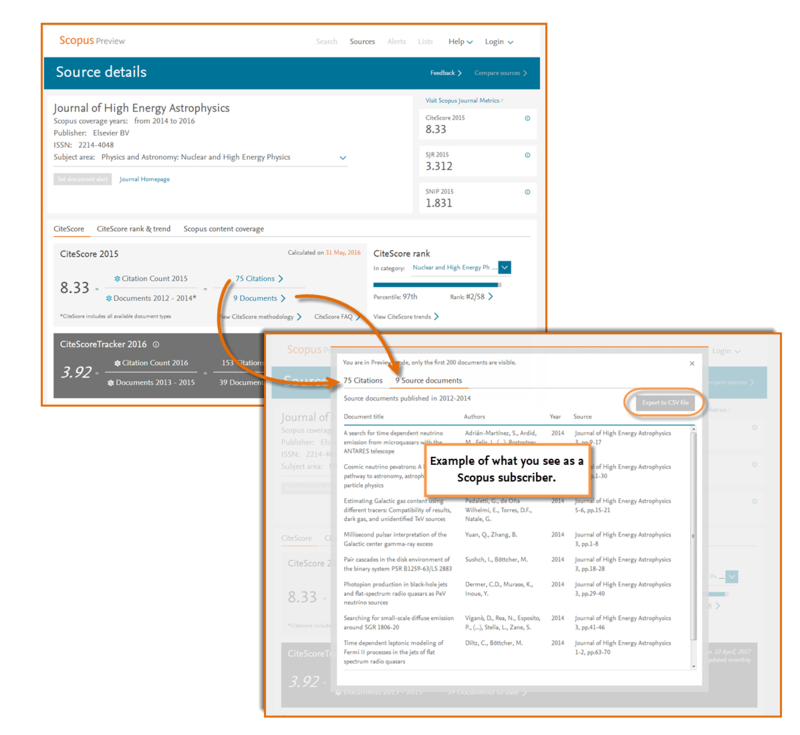 This means that even if you do not have access to Scopus, you can also view the documents and document citations used in a title’s calculation, for the up to 200 documents.